2015 Dacia Sandero 0.9 TCe 90 Laureate Prime UK review | What Car? 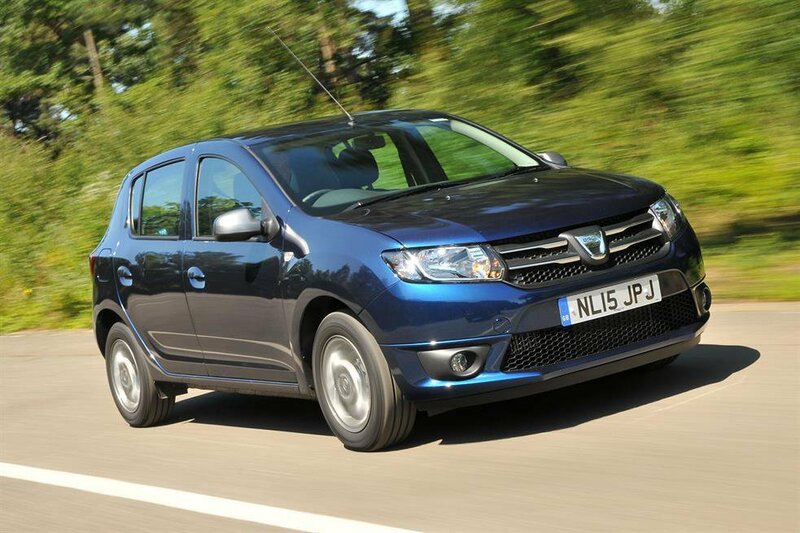 To celebrate a decade back in business in Europe, Dacia has released special Laureate Prime editions of the Sandero, Duster and Logan MCV. These will slot in at the top of each car's range above the current Laureate trim. The new trim level features extra cosmetic goodies and more generous tech, and we've been behind the wheel of the Sandero, paired with a 0.9-litre turbocharged petrol engine, to see if Laureate Prime is worth the increase in price over the other models. It costs £500 more than Laureate trim, but comes with £900 worth of extra kit. However, at £9295, this Sandero is far from the jaw-droppingly cheap 1.2-litre Ambiance model, that costs just £6795 and is our favourite in the range. What is the 2015 Dacia Sandero 0.9 TCe 90 Laureate Prime like inside? It’s the same simple layout you get in Sanderos across the line-up, but with added blue highlights on the upholstery and seatbelts, along with some grey stitching and blue-edged floor mats. Outside, you get sparkly 'Cosmos Blue' paint and special 'dark metal' 15in alloys and door mirrors. The most valuable addition to Laureate Prime, though, is a 7.0in touchscreen with Dacia’s Media Nav Evolution. They bring sat-nav and greater smartphone compatibility, and would be a £300 optional extra for regular Laureate trim. The screen is nicely integrated into the dash and very simple to use. It’s intuitive, too, although the response lags slightly when dragging the map around on the navigation setting. There’s also scope to hook your phone up to it to get live traffic updates. A leather steering wheel, climate control, cruise control, front and rear electric windows, and remote central locking also come as standard on Laureate and Laureate Prime trims. This Laureate Prime Sandero stands out against its rivals in terms of value for money. Small car competitors, like the Ford Fiesta, cost significantly more and come with less kit. Even city car rivals like the Volkswagen Up are more expensive, especially if you’re after a similar level of equipment. Also, tech aside, the Sandero’s spacious interior beats many of its competitors'. Its airy cabin offers generous headroom front and rear and the well-shaped 320-litre boot, or 1200 litres with the rear seats down, is bigger than the Fiesta’s 290-litre offering. It’s comfortable, too, although it could do with some more lumbar support for the driver’s seat, as well as more options for adjustment. For all its generous tech and rival-beating space, though, you’ll never forget that you’re in a budget car. The dash may be pleasingly simplistic, but the plastics look and feel hard and cheap. What is the 2015 Dacia Sandero 0.9 TCe 90 Laureate Prime like to drive? The budget feeling is also noticeable in how the Sandero drives, particularly with regards to refinement. Engine and road noise are an issue at motorway speeds. However, the turbocharged 0.9-litre three-cylinder petrol engine is pretty flexible and has enough power to cope with most regular journeys. There's no real kick from the turbo, though, so progress is sedate rather than rapid. The Dacia may beat the Fiesta on price, but the Blue Oval supermini is much better to drive than the Sandero. If you'll be covering plenty of miles in the Sandero there's also the option of a 1.5-litre diesel engine, but it commands a £1000 price hike over this petrol version, so it would take a lot of driving to recoup that fee. It manages to be even noisier, too. If you're already sitting on the fence between a Laureate and a Laureate Prime, a £500 premium for the latter seems a decent offer, especially considering sat-nav is a £300 extra on Laureate anyway. You won't find another new car on the market with the specification Laureate Prime boasts for less than £9295, either. It comes down to how much you need the toys, though. If you want a bargain-basement car and don't consider touchscreen and sat-nav as a priority, we'd point you towards our favourite 1.2 Ambiance model, which is still outstanding value at £6795. For that price you still get remote locking, electric front windows and Bluetooth - and you may well decide that they're all you need.